Only had a quick, brief look at this, the 427 Change is a bad move in my opinion. When the WCML is out for whatever reason, you need all the capacity you can get along the Uxbridge Rd, only last night, I got caught up in a signal failure, every westbound 207, 427 & 607 were heaving! 2 hrs after I boarded a 607 at Ealing Bdy, I reached Uxbridge! When I got more time, I'll take a thorough look at these proposals. Thought DLAs were too old for a new contract? Do you mean the GWML? I can't see why the service out of Euston being up the spout would affect the Uxbridge Road corridor. You have, of course, highlighted a long standing and growing weakness in the bus network. TfL are taking out so much resilience that when things do fail or there is a strike people will not be able to get anywhere. At that point brown stuff will hit the fan. I can't wait for the next Tube strike and people finding out how many buses and links have been ripped out of Zone 1. With a reduction from every 7-8 to every 10 mins and loosing probably about 40 of route the PVR of the 427 could drop quite substantially. 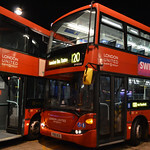 I have to say of you are at one of the 607 stops or an easy walk to one I can easily see most opting to take the 607 over the 427 from Uxbridge etc to Ealing so the loss of the link won't be too hard on many. Aye, yes I did, it's been a long day! The problem with the Twickenham-Richmond corridor is this: Where do you put the routes? 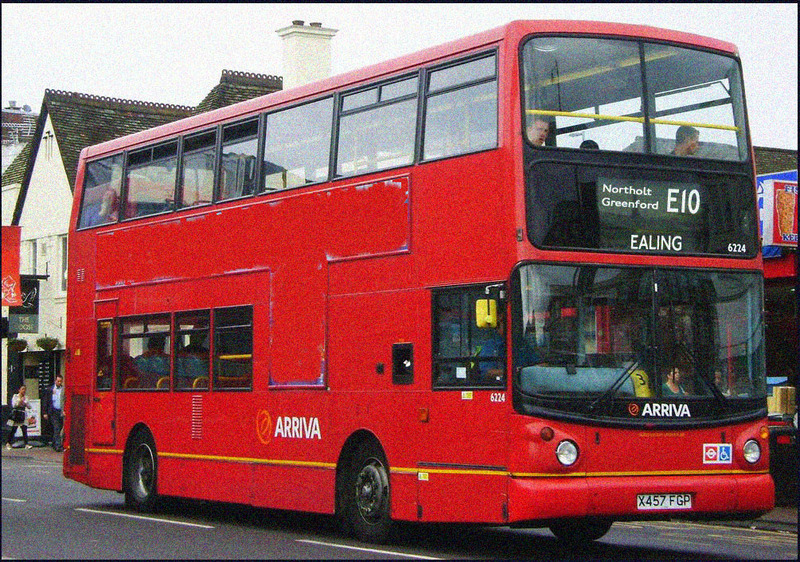 Yes hopper ticket, but it would cause numbers to fall if everyone has to leave the bus at Twickenham and hop onto one double decker. As many have said before, yes there might be a train from Whitton to Richmond, but if it is more convenient to get a bus that takes a bit longer but from the front door, and it's cheaper. The bus stop panels say the H32 is a 24 hour route daily. Yet the consultation doesn't say anything about a Sun-Thur night operation, so I presume the panels are incorrect. That's a shame as I would have thought it would be viable all week. Whitton to Richmond by train is actually 2 trains every 30 minutes; the standard interval between the peaks is xx20, xx23, xx50, xx53 but if you time it well, the xx20 and xx50 take 7 minutes, while the xx23 and xx53 take 10 minutes. Good luck getting close to that by bus (although in the morning peak things are marginally better, generally gaps of 10 minutes and 20 minutes). Quick glance: I love the 278 idea. I see my baby 218 has resurfaced. I didn't think it was such a hot idea but with the 306 helping out it shouldn't be too bad. 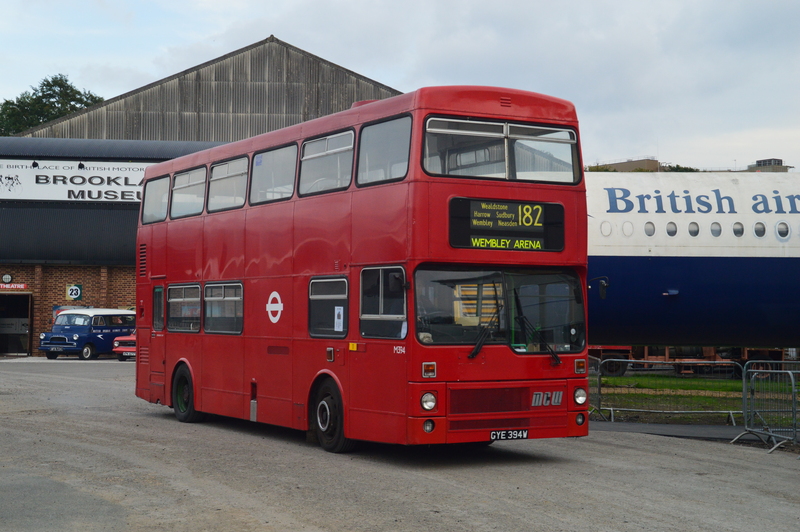 The 266 needed a shave as it is a monstrous route to operate - best of luck to Metroline in a few weeks. I would like to know what they propose to use for the 112. Looks like a nifty link. H32 to H&H is a great idea and will mean no need for DDs on the H98. I hope this goes forward. I hope this is an opportunity to make the 95 DD - especially with the new developpments in White City. The changes here seem to make sense in making it a more direct route but providing as many links as it currently does as possible with the 218 filling in the West Acton area. Although it provides many important links, it makes sense to cut part of it due to it's reliability in serving many heavily traffic filled areas just like the 83 did. The replacement through West Acton of the 440 and a good idea although it does seem rather short and bar the West Acton section, pretty much duplicates the 266. An extension to Brrok Green or Chiswick Park (stand space permitting) may of given further uniqueness that was also useful. A cross Hammersmith link removed that was potentially useful and thus has now been relegated to an 'also ran' route that in it's proposed form, looks prone to being withdrawn at some point. 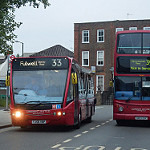 I do like this idea as it takes over the 266's southern section however I think TfL have misunderstood something here as even an every 10 minute single decker route may struggle to bolster an every 12 minutes double deck 306 especially given how bad traffic can be in Hammersmith & Fulham Broadway. As snoggle mentioned, TfL are clearly struggling for stand space as it otherwise seems a very odd place to terminate a bus from the south. I'm against this extension and also the separate proposal to re-route via Madeley Road simply because the 112's reliability is poor due to the A406's unpredictable traffic conditions and a further extension along the 65 would be a waste especially given the 65 needs assistance of it's own which couldn't be guaranteed by the 112. Madeley Road is also a problem with parked cars not to mention turning right off the A406. There are better candidates to do this extension instead like the E9 for example. Another idea I like as it makes the 95 a bit quicker in the Lady Margaret Road area although it still has escaped a double decker conversion and this leads to a fear of mine - the new routing for the 95 & E5 are more direct & quicker than the busy 105 which could lead to overcrowded single deckers - now this can't be helped on the E5 which I don't see being as a big an issue anyway but on the 95 - I can see serious problems arising here. Again, I support this change in conjunction with the 95's above change. 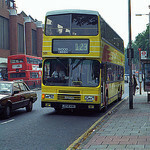 I support the frequency increase on the 120 - it's already a busy route and will only get busier once Crossrail arrives. As for the E10, longer single deckers & a frequency increase should be a welcome upgrade providing those narrow parts of the route are ok with it all. I sadly do support this - in an ideal world where politicians had balls and significantly cut congestion, this route would be fine but I do think a restructure would improve it's reliability. The interesting thing will be stand space at Hayes & Harlington. If I'm being honest, quite underwhelming. It's great that it runs direct to South Harrow from Harrow and from Bath Road to Heathrow Airport but really, it needed more direct sections than just those two. 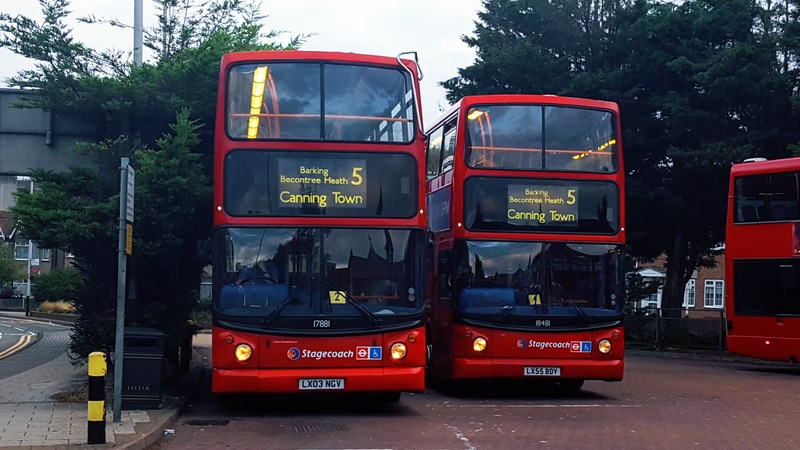 Seeing as Pump Lane may gain the H32 which would probably lead to the width restriction being removed, the X140 could run via The Parkway, Pump Lane, Hayes & Harlington, and then follow the 195 back to The Parkway and then run along Bath Road. I think this is a good idea bringing brand new links between Hayes & Harlington and Hillingdon/Ickenham/Ruislip. I think every 12 minutes is a fair refection given that anything more than 10 minutes on the Hillingdon/Ickenham/Ruislip section would be overkill and of course, if it is popular, will probably be increase to every 10 minutes. The U2 also gets some assistance along Long Lane. A sad consequence of making room for the X140 - if a bit more imagination was used, the 223 could of remained at Harrow and the X140 terminated elsewhere such as at..........Northwick Park Hospital. I think that all the proposals should go ahead. When will this Southall Waterside residential development be complete? Unless my eyes are deceiving me but were is the proposals for the E1? 112. This will become a nightmare to run. When West London clogs up, it will have the A4 and the A406 to contend with. TfL will save much money on Metroline missing performance here I think. 391. Relegated to a low frequency service is a bit sad, but will be much easier to run. Maybe it could be extended from Richmond to Hampton Court via R68 , with R70 running to Kew Retail Park and withdraw the R68 ? 440. Missed opportunity to send to Wembley. Perhaps in future ? Makes sense to route direct at Chiswick Park. H32. Nice extension , hope it goes 24/7. 140/x140. Broadly in support, but i would like to know how frequent the x140 will be. 218/266/306. Hope the 218 & 306 get awarded to same operator as the service between Hammersmith and Acton will need to be tightly controlled to ensure even running. 278. A great route idea but would like it to be 24/7.